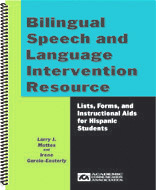 ACA publishes resources for speakers of English, Spanish, Chinese, and other languages. Ages 6 through 11. 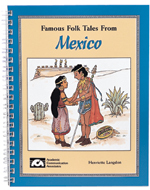 Each lesson includes a story and activities relating to a specific place in the community. 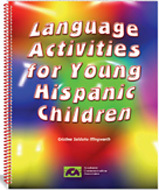 This book will help you provide stimulating culturally and linguistically appropriate language activities for Hispanic children. 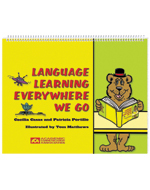 Teach singular and plural noun forms, present tense verbs, "is" and "are," use of the present progressive, and other structures with the 52 multi-purpose picture cards in this set. 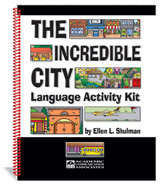 Teach use of basic spatial concepts such as on, in, under, and behind using this fun card set. 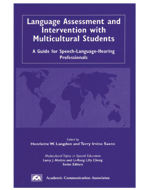 Words are listed on the cards in English and Spanish. 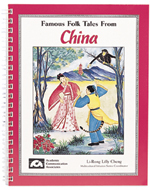 This book includes pictures and short stories relating to a variety of everyday situations. 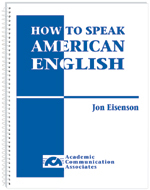 Stories are in English and Spanish. 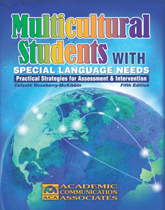 The new 2018 edition of this book includes a wealth of information about cultural groups, their customs, and variables that are important to consider in assessment and program planning.